Finding photos for my book on New Zealand’s ‘first’ women, But I Changed All That, I did not expect to choose the photos of our first two female prime ministers from Auckland Libraries collection. Image: Unknown photographer. Jenny Shipley and students of Mountain View Primary School plant a Pohutukawa tree, Mangere. 1998. Auckland Libraries Heritage Collections, Footprints 03879. 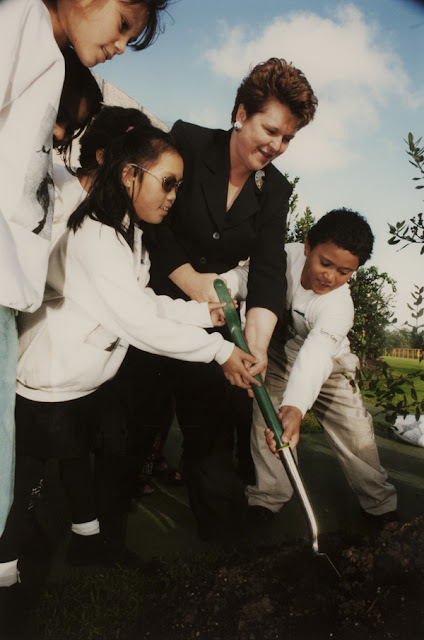 Reproduced courtesy of Stuff Ltd.
Jenny Shipley planting trees with Auckland children on Arbour Day was a winner for my book, which covers 1893 to 2018 – Kate Sheppard to Jacinda Ardern. Jenny Shipley became New Zealand’s first female prime minister in 1997, having won enough support to oust Jim Bolger. She started her working life as a primary school teacher. You can tell that she and the children are enjoying themselves. 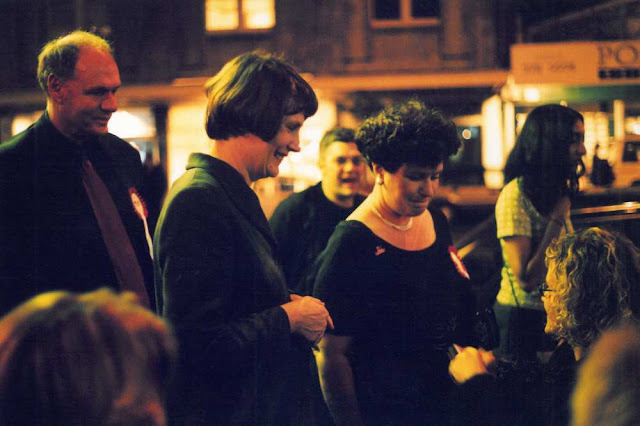 The 1999 election saw her go head to head with Helen Clark – who became our first elected female prime minister as leader of the parliamentary Labour Party. Image: Julia Durkin. Helen Clark on Ponsonby Road on election night. 1999. Auckland Libraries Heritage Collections, 835-30. Here too, Auckland Libraries came up trumps, with a really nice photo of Helen Clark on election night. She is wearing a smart bob haircut and a sharp suit – all the better for an appearance on television. But this photo was taken later in the night: she is standing in Karangahape Road with Auckland Central MP Judith Tizard, having a chat with a woman who is sitting down. She would lead Labour to two more elections – before going to head a department of the United Nations. Image: Barry Gustafson, Elizabeth Reid McCombs. 1933. 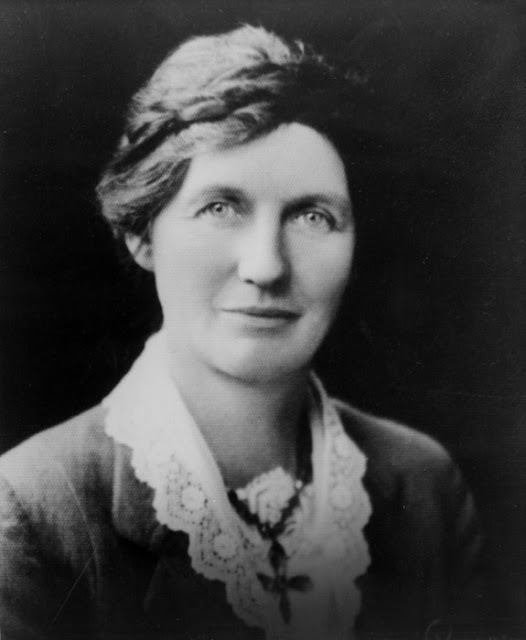 Ref: 1/2-150372-F.
Elizabeth McCombs, New Zealand's first woman MP, elected in 1933, bears an uncanny resemblance to Helen Clark. This is the photo one usually sees – but it was taken years before she was elected. She died about two years after being elected. She did not live to see our first Labour Government, but the fact that she got many more votes in the Lyttelton by-election of 1933 than her husband had got in the same seat in the previous election was an indication that they could win. held in Christchurch in 1897. MB126, Ref. 15092. Macmillan Brown Library, Christchurch. The book starts with Kate Sheppard, but I did not pick the photo we usually see – the one on the $10 note - which was taken long after the vote was won in 1893. Kate Sheppard is in the centre of this group portrait of the National Council of Women delegates meeting. Image: Enos Pegler / New Zealand Graphic. 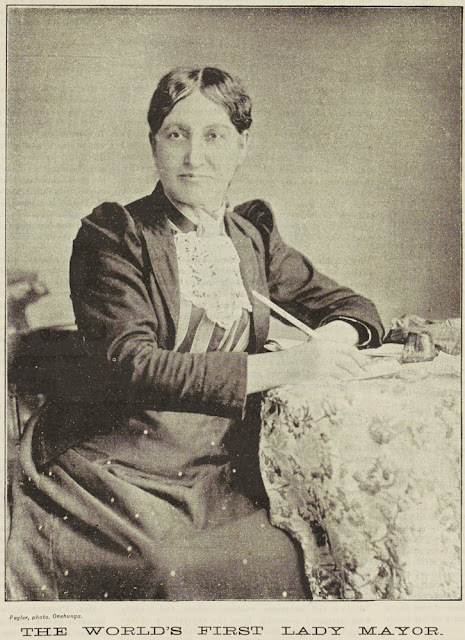 Elizabeth Yates, the Mayor of Onehunga. The second person in the book is a famous Aucklander – Elizabeth Yates, the first woman to become the mayor of a town in the whole of the British Empire. She became mayor of Onehunga on 29 November 1893, the day after women voted for the first time in national elections. The previous day she had been the first woman in Onehunga to cast a vote. When researching history, it is important to know where much-repeated information comes from. Pieces on Elizabeth Yates all repeat the same scraps of information. What does seem to be clear is that she had worked with her husband when he had been mayor (but he was too ill to stand again) and although she attracted some resignations and much heckling, she balanced the books and upgraded the roads. The title of my book came from Dinah Lee, the first New Zealand woman to have a number one hit single overseas with Don’t You Know, Yockomo in 1964. Dinah had moved from Christchurch to Auckland, and quickly morphed into a pop singer with a Mary Quant style – mini-skirts and a short, sharp bob. The young men in the band she sang with told her not to ‘get a big head’ about her number one hit in Australia. ‘They kept me right down because to them the girl singer was just a fill-in. But I changed all that. All of a sudden I was going on my own tours – the Dinah Lee Spectacular. Then I toured with overseas stars.’ Dinah’s song Do the Bluebeat was a huge hit in New Zealand. 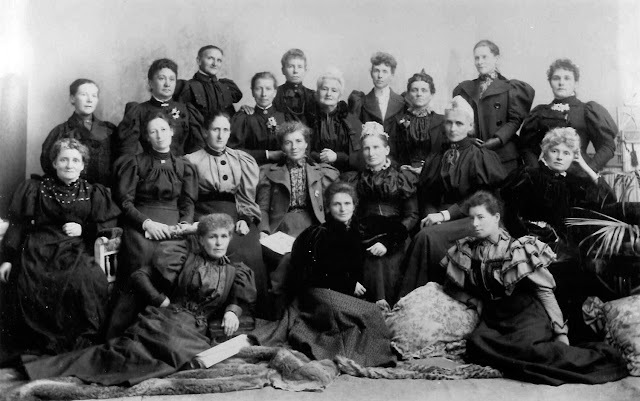 One thing I noticed when I had lined up the ‘firsts’ in chronological order was that in the 1890s, the rules were made flexible to allow women to go to university and even become doctors and lawyers. But fast forward to the 1980s, and women had to fight their way in. Anne Barry took her employer, the Fire Service, to the Human Rights Commission before she was able to be a firefighter. And jockey Linda Jones was about to take a court case to be able to ride in betting races when Parliament changed the law so she could not be kept out. I noted that women often claimed that it was either determination or persistence that meant they won through – while actually what is needed to stand for mayor, pull off a political coup or oppose one’s employer publicly is courage. The ‘girls can do anything’ slogan of the 1980s could have ‘with courage and persistence’ added to it. But I Changed All That: ‘First’ New Zealand women can be ordered at janetolerton.co.nz at $18.